Nearby residents were servery affected by these works as they caused noise, vibration and light nuisances overnight between 8:00pm and 4:00am in July and 8:00pm till 5:00am for multiple weeks in October. There were also other periods of overnight works before this. During these overnight works many local residents were left tried, unable to sleep, feeling ill and with headaches in the following days. Residents near the construction site of High Leigh Garden Village should be able to enjoy the use of their land without being interfered with in such an unreasonable way, especially during the night and early morning hours when they are trying to rest. Residents reached out numerous times to Hertfordshire County Council and Broxbourne Borough Council requesting that planning permission was upheld, especially as it was severely affecting their ability to sleep and health, but it was to no avail. We reached out to Mark Kemp, The Director of Environment & Infrastructure in regards to the recent overnight works in July 2018 and October 2018. Why were the overnight works not originally considered in the planning permission? Upon reviewing multiple documents we are unable to locate where you permit overnight works during the early planning permission. Traffic Management requirements and programme dates (including overnight works) to facilitate the delivery of works is not considered as part of the planning application and is only agreed at the pre-construction stage between the Principal Contractor and Hertfordshire County Council. Lands Improvement Holdings or their contractors have failed to carry out the roundabout works twice to the specifications required by Hertfordshire County Council. Are you disappointed in Lands Improvement Holdings not being able to carry out these works in a timely fashion and of an acceptable standard? This is in relation to the works carried out overnight in July and then again overnight in October. We agree that Lands Improvements Holdings contractors have failed to carry out the roundabout surfacing works to the specifications required by Hertfordshire County Council, we are also disappointed in Lands Improvement Holdings contractors not being able to carry out these works in a timely fashion and of an acceptable standard. Hertfordshire County Council have been very quiet in relation to these overnight works, why are you not liaising with the community more regarding this construction? Hertfordshire County Council directs all works promoters as to what level of advance communication is required subject to the nature, location, duration of the works and traffic management required. Hertfordshire County Council instructed for a letter drop to be issued to all affected residents/frontages as well as the erection of advance warning boards a minimum of 10 working days in advance of each set of overnight closures. Hertfordshire County Council also communicated the works via its website, Update Me Bulletins and our social media platforms in advance of the works taking place. 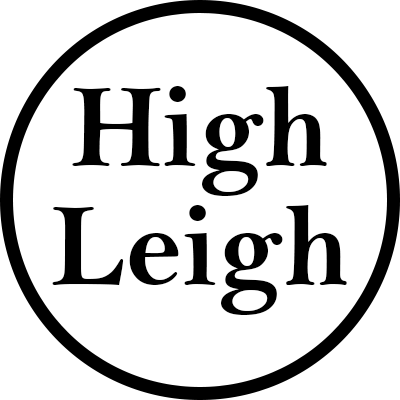 When were you informed that Lord Street would be used for utilities of High Leigh Garden Village? Hertfordshire County Council was made aware of these proposed works in October, with a meeting held by our Network Management Team, Land Improvements Holdings and the relevant utility companies. When were you informed that Lord Street would be closed by Lands Improvement Holdings for up to 14 weeks to install said utilities? After the initial meeting in October, a further meeting was held in November where Lands Improvement Holdings presented their initial works programme for the utility infrastructure works in Lord Street. The programme presented to Hertfordshire detailed a 15 week works programme in total with Lord Street closed to traffic for a period of 7 weeks. The traffic management proposals presented detailed the closure period of Lord Street being restricted to the hours of 09:30am – 3:30pm only, with the physical hard closure limited to 50m length at any one time, with temporary traffic signals utilised outside of these hours. This was based on earlier stipulations discussed between Hertfordshire County Council and Land Improvement Holdings at the meeting in October. We are continuing to work with the developer to reduce the duration of these works as much as possible and all options are being investigated. The above timescale sets out the worst case scenario. However, works of this nature are often impacted on by inclement weather or unforeseen difficulties on site. The planning permission is very explicit in the times that works can take place in relation to this development. It has already been stated by Jeff Stack at Broxbourne Borough Council that it amounts to a breach of planning permission but that they aren’t taking action currently as it is not ‘expedient’. 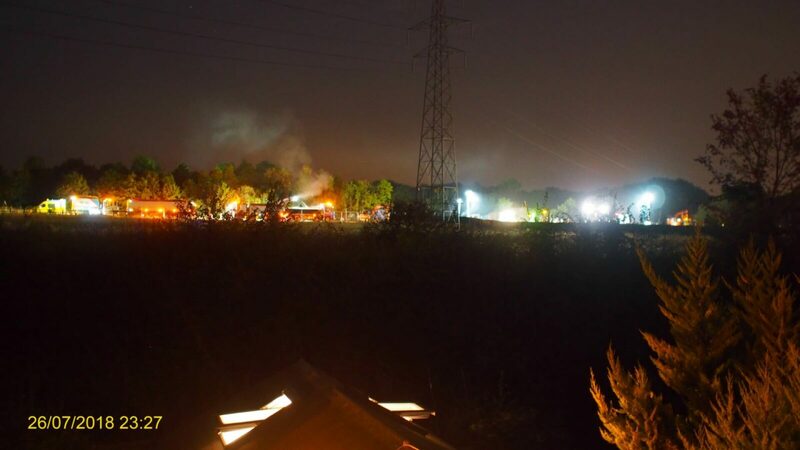 As it amounts to a breach of planning permission as agreed by Broxbourne Borough Council, any overnight works that were going to take place should have been considered during the planning permission stage. We are glad Hertfordshire County Council acknowledge the failure of Lands Improvement Holders contractors, mainly Breheny Civil Engineering, to carry out the overnight works twice to the specifications required. Planning permission and other planning related documents should be rigorously adhered to. That where planning permission breaches do occur that they are thoroughly investigated by Broxbourne Borough Councils planning department. That due to numerous planning permission breaches occurring, the validity of planning permission should be reviewed. If you feel as if a planning permission breach has occurred or you have been unfairly affected please see the Your Rights page. Residents near the High Leigh Garden Village construction were severely affected by overnight works in July and October. Many residents were left unable to sleep.